An official solution at a premium price. If you’re a day one adopter or a digital shopper, it’s possible your PS4 is nearing the limits of its hard drive’s storage capacity. Fortunately, it’s a problem with many solutions: For instance, you can upgrade your internal storage (it’s easy, trust us). But at this point in the console’s lifecycle, it’s likely you’ve got too many saves and too many games to try to transfer everything between drives. Instead, you’ll want to consider a solution like Seagate’s officially licensed PlayStation Game Drive (See it on Amazon). Provided your PS4 is upgraded to system software version 4.50+, the Game Drive simply adds to your total storage space when it’s plugged in. It’s a 2 Terabyte hard drive that plugs into a PS4’s USB port and allows you to transfer up to 50 games (using the average size of a 40Gb average size of a game). The first thing you should know about the Game Drive is that you’re paying a bit of a premium for the PlayStation licensing. At $109.99 for 2TB, and $149.99 for 4TB, the Game Drive costs more than many storage options on the market. In fact, Seagate already makes one of its own, an unofficial external storage solution for PS4—also called the Game Drive—and it’s currently selling for $79.99 and $99.99. That’s a pretty significant discrepancy in price—and the only meaningful differences are quite small. For the extra Hamiltons, you get a nifty PlayStation logo, ultra PS4-focused instructions, and—theoretically—the peace of mind that comes with knowing you’re using an officially licensed product. The reason, for what it’s worth, is that the PS4’s stock hard drive is not fast. The Game Drive is faster based on my testing, despite having to transfer data through USB 3.0. That’s impressive—and extrapolated over hundreds of loading screens, the time saved could really add up. Setting up the Game Drive is stupid easy: you plug the hard drive into one of your PS4 USB ports, head to settings > devices > USB Storage Devices > click “x” on the Game Drive and “Format as Extended Storage.” Within a matter of seconds, your hard drive’s formatted as an extension of your PS4’s hard drive. After all is said and done, you’ll end up with about 1.8 Terabytes of extra storage. I figured the best way to free up space would be to dump some games I wasn’t playing on the Game Drive. It turns out you’d be better off just letting your PS4 automatically install your new games onto it, and leaving your old drives on system storage because the Game Drive takes forever to transfer games. It took a staggering 25 minutes to transfer Marvel’s Spider-man. Admittedly, that was one of the biggest games on my PS4, weighing in at about 50 gigs. During that time, you can’t do anything—not even back out of the transfer menu. That means if you’re trying to dump all your games—say 500-gigs worth, you’ll be staring at a loading screen for up to four hours. Instead, you’re better off just installing new games to the hard drive, which the PS4 can do automatically after formatting. As someone who often moves between my PS4 and a friend’s PS4, I was naively excited for this to become my all-in-one solution. One device, not much larger than a deck of cards, that contained all of my current games? That’s a dream. In practice, it’s not so peachy—first of all, what if I lost the drive? Second, the device doesn’t save your, ahem, saves. Plus, once I actually got the device plugged into my friend’s PS4, I realized he already had the game—and the Game Drive prompted me with an alarming message that basically amounted to “which of these two games would you like to delete?” Just imagine how nervous you’d be if this thing had all your games! You’d be re-downloading games for ages. 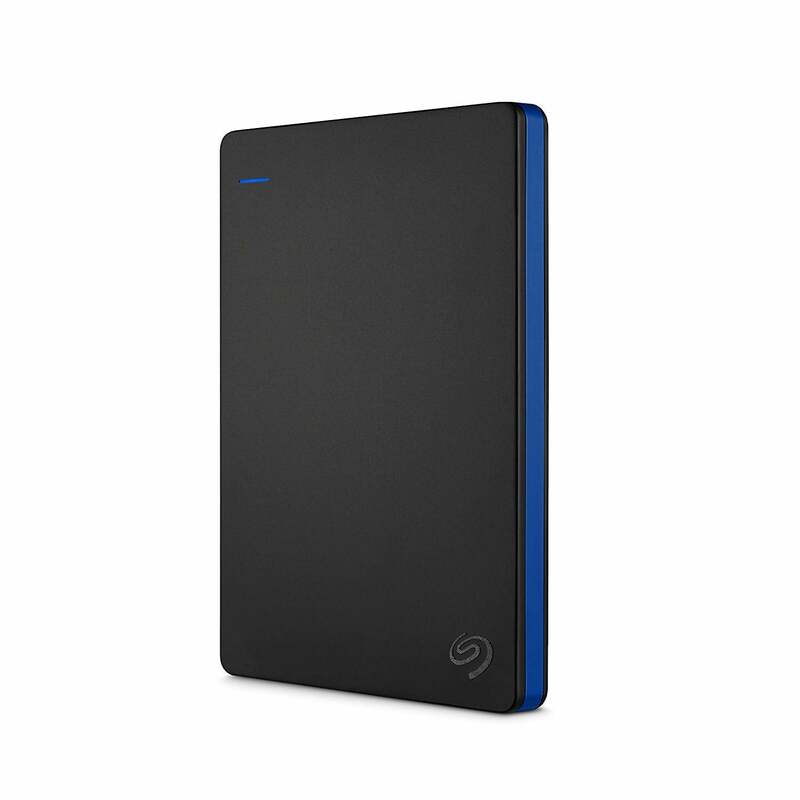 You can pick up the 2TB Seagate Game Drive online for $89.99, while the non-licensed 4TB will set you back $119.99. The Seagate PlayStation Game Drive hard drive is a good solution to a very specific problem. If your hard drive is out of space, but you don’t want to delete anything, you should buy a USB 3.0 hard drive. If you’re squeamish around tech, the licensed PS4 version is not a bad bet—though you can find cheaper options. While I wasn’t able to fulfill my dream of a perfectly portable library, I was impressed with the device’s simple setup and unexpected speed boosts.